The human intellectual thought process must evolve beyond the limitations of language. There is a vast wealth of information awaiting humanity via inspiration. 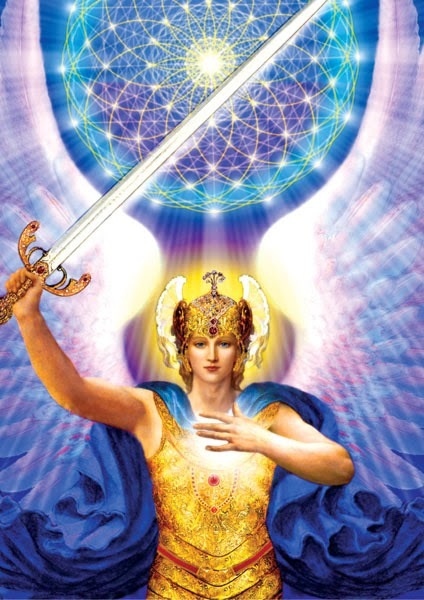 You must develop your intuitive abilities in order to receive the wisdom of the Divine Blueprint for the Aquarian Age, which is now being RAY-diated from our Father/Mother God via the Twelve Galactic Rays of cosmic consciousness. It will not come from outside you. It will well up within your own Sacred Mind and Sacred Heart. You must reach up and grasp it, for it will not come down into the effluvia of the Earth planes and seek you out. Mature spirituality is not an unconscious experience. You must develop a self-sustaining Divinity, whereby you are constantly breathing the rich Pranic Breath of Life / Adamantine Particles of Creator Essence, so that you may receive spiritual sustenance from the River of Life via the Eighth Chakra, your Soul Star. The empowering Breath of Infinity opens the pathways that lead to the multidimensional levels of Creator consciousness. You must broaden your inner perspective as you gradually change your way/mode of thinking and perceiving. The Spirit of the Creator cannot be isolated. Spirit permeates everything in existence to one degree or another. You must expand your consciousness to incorporate the vastness of Creation. You are a Spark of the Creator – a manifested Divine Facet of consciousness – a Still Point within Creation. You either enrich the world you live in or you help to contaminate it. How bright and warm is your Sacred Fire? Does it blaze brightly and warm the hearts of others? Or is it a feeble flame, not even strong enough to warm your own heart? “Cold-hearted” is not a term associated with a true Bearer of God Light. You may journey through the shadow lands with those who helped create them, or you may walk with delight in the radiance of God Light. The Father and Mother God of this universe were endowed with a portion of these Creator attributes, qualities and virtues. This is the primary source of Creator Consciousness within this universe, and all is balanced – all is equal – all is harmonious. Before the God Rays of our Father/Mother God were radiated out into the great void, there were an incalculable number of powerful Supreme Creator Rays sent forth out into the cosmic void. These Creator Rays became great regions of space with different Light densities and time-consciousness memory cells, which contain infinite Divine schematics of material world possibilities. There are membranes of Light that create barriers so that there is a firm demarcation between each Sub-universe. 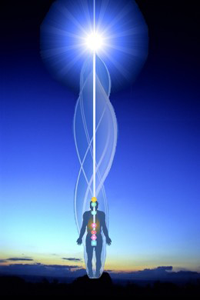 These Light-line barriers cannot be penetrated or crossed without special Divine dispensation – that is until your personal Soul Song resonates to the refined Light frequencies which are harmonious with that particular level of God-consciousness. Some of these great Creator Rays are much wider than others, and separating them are a number of thin membranes of Light which contain time cell encodings within Pyramids of Light. 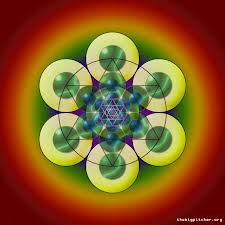 There are living pyramids of Light/life within every energy field and dimensional space of Creation. 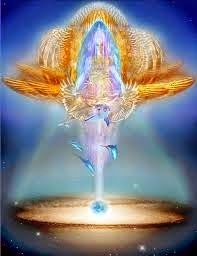 Creator Light pours forth from the pyramid-shaped treasuries of Light to be used by the Elohim and the Builders of Form in making new creative designs as mandated by our Father/Mother God. Each star in the galaxy is a node of energy vibration. Also, each person functions as a living star capable of receiving and conveying harmonic frequency vibrations according to his/her level of consciousness. As you are now aware, these frequencies are called your Soul Song. You are a point of Light, a vibrant Spark of the Divine. This universe is composed of one gigantic Celestial Soul Song. From the Heart Core Essence of our Father/Mother God, the Essence of the Son/Daughter Co-Creators was made manifest. These wondrous Beings are stepped-down refractions of the power and majesty of our God Parents – just as our Father/Mother God are a stepped-down refraction of the Supreme Creator. From the Essence within the Master Core of Cosmic Consciousness (mentioned above), there were a specific number of Sub-universes created within this universal whole with both feminine and masculine attributes, virtues and qualities of Divine Light in perfect equality and balance. However, when the major portion of the Sub-universes was created, the predominant forces of the creative process were allotted to either the masculine or the feminine attributes of Creator-consciousness. In half of the Sub-universal Divine Blueprints (plans), the Father/Son qualities of Divine will, power and purpose, the mental/outward-focused attributes of the Creator were emphasized, while the Mother/Daughter attributes of compassion, nurturing, intuition, inward-focused qualities were in a support position. There are also an equal number of sub-universes with the Mother/Daughter qualities and virtues in the leadership role, while the Father/Son attributes take the secondary position. Have we not told you that this universe could be called a universe of great and unique diversity? It was created as a Univers-ity of learning for you, the Star Seed of the Omniverse. Essentially, however, the indeterminable diverseness and magnitude of Creation were designed so that the Creator could experience unlimited variations of ITSELF. My brave ones, we know there can be much pain, discomfort and fear as you move through these accelerated processes, which are causing the dramatic changes now taking place throughout your world. Know that together we will overcome all adversity. Our mission is to open the way for any dear Soul who expresses a desire to return to harmony. Know that each of you is making a difference. When you doubt, need inspiration or strength, come into your Pyramid of Light and we will give you courage, lift you up and inspire you. When you feel lonely or unloved, move into your Sacred Heart center, and we will be waiting there to fill you with the radiant love of our Mother/Father God. I AM Archangel Michael. Dear hearts, there are very few people who are aware of their creative or spiritual gifts early in life. There may be an interest or desire in learning or perfecting certain talents; however, everyone I know has had to experience many facets of life, as well as many trials and tests, in order to gradually, over time, develop their talents. Although I had some spiritual experiences at various times throughout my lifetime, I did not develop an intense desire to seek spiritual wisdom until I was in my late fifties. The gifts gradually come forth as you seek to balance and harmonize the many Facets of your Being. 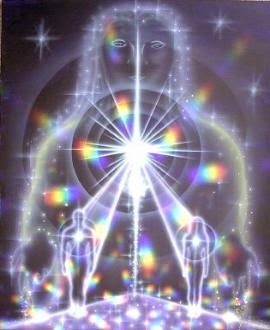 A Facet of your Higher Self is always waiting to connect with you or take up residency within your Sacred Heart, and with each download of your Soul Self, more gifts, talents and wisdom will be available to you. It takes work, dedication and tenacity; however, I can attest it is well worth the effort. We are on Earth to be co-creators with our Father/Mother God. The gifts of Spirit are available to each of us, but we must do the work and turn inward and reach outward to attain them. ^^ An important part of your earthly mission is to develop and perfect the gifts and talents you bring forth to experience in each lifetime. There will be an emphasis, a desire or preference to perfect certain underdeveloped talents and abilities. However, you must make the effort and take the time to become accomplished in each chosen endeavor. 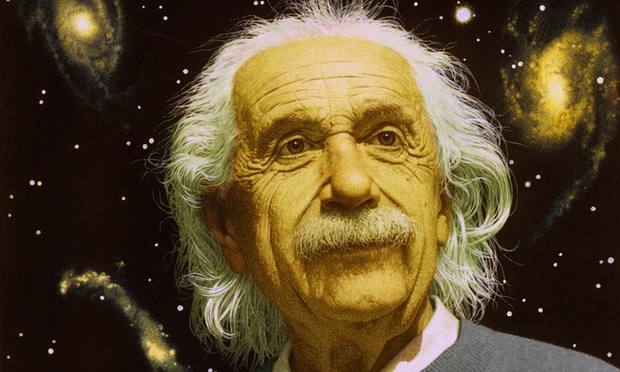 Occasionally, a person who is well on his/her way to mastery will incarnate with certain genius abilities which he / she has perfected in previous lifetimes. This is happening more and more frequently with the old Souls who are incarnating during these accelerated times of transformation.